Charlotte is a property litigation specialist. She acts in all types of real estate disputes and related professional liability matters. litigation department at a leading firm of solicitors, Charlotte has a unique insight into how barristers can add value for solicitors and their clients, and this sets her apart from others. Her advice is commercial, practical and relevant. Charlotte has won many plaudits in legal directories. 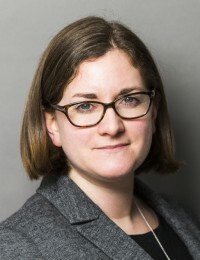 She is described as ‘brilliant’ in Who’s Who Legal: UK Bar 2017, has been praised in Chambers and Partners for her ‘great advocacy and helpful approach’, and is also recommended as a leading property junior in Legal 500, where she is praised as being ‘particularly clear and precise in relation to the complexities of dilapidations’. As well as acting (led or unled) in real estate disputes, Charlotte is also used to acting as part of a team, providing specialist property advice in wider disputes with a property angle, including commercial, insolvency and family proceedings. She has also acted in cases involving property in other jurisdictions. She is regularly asked to speak on matters relating to her practice and has previously given talks to or run workshops or seminars for the Property Litigation Association, RICS Dilapidations Forum Annual Conference, Professional Negligence Lawyers Association, Bristol Law Society and numerous firms of solicitors. This year, Charlotte chaired Wilberforce’s annual Property Conference, which explored issues surrounding urban development in the 21st century.